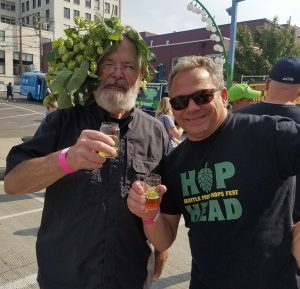 If you love craft beer & hops, you can’t miss the 2nd Annual Seattle Fresh Hops Festival! TWO sessions to choose from! 20+ breweries will sample just released fresh hops beers. Food and sliders will be available from Hale’s. The 2017 Festival is a collaboration between City Fruit and Seattle Uncorked! Help us raise funds for City Fruit – who harvests unwanted fruit from “urban” fruit trees and shares this fruit with area homeless shelters.